There is something sacred inside each one of us that vibrates in perfect harmony with the Universe. However, the cacophony of our thoughts prevents us from enjoying this inner harmony. Nada Yoga teaches us how to rise above this noise, go deeper into our heart and discover the inexhaustible source of inner peace and strength there. Nada Yoga is a wonderful confluence of the art of music and the science of Yoga, Mudras, Ayurveda and Astrology. Nada Yoga envisages Music as a means of Enlightenment by exploring the Energetic aspect of Music. Nada Yoga is one of the most effective ways to energize the Chakras, balance the Vata, Pitta and Kapha Doshas, remove mento-emotional energy blockages and gently carry the mind to a tranquil state where inner healing becomes possible. 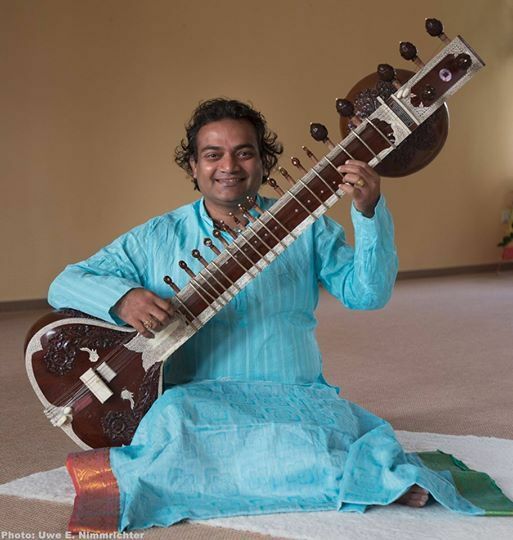 In this session, Ram Vakkalanka will present the spiritual side of music and explain the relationship between music and the Chakras or Energy Centres in our subtle body. Ram presents music from a unique perspective and its soothing quality truly enthralls the audience. In Ram’s hands, the musical notes become Mantras and create vibrant, energetic and peaceful ambiance. This session involves intermittent guided meditation. Please dress comfortably. 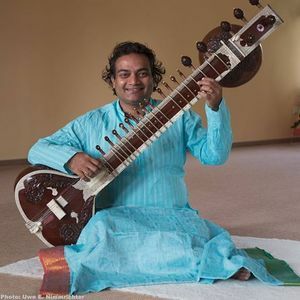 Ram Vakkalanka is an internationally known Nada Yogi, Kirtan artist, Sanskrit expert and Yoga philosopher.